NEED A NEW ROOF FOR YOUR RESIDENCE? 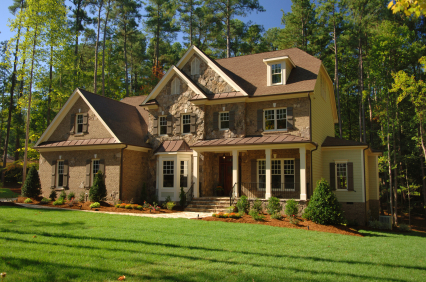 MIDWEST ROOFING CONSULTANTS will help you make sure your money is well spent. Your home, where you live, play and grow your family.... IS important to you. Is your home in need of a new roof or just a repair? Is simple maintenance a possible solution? A decision to invest in a new roof is a major financial investment and you need to know you made the right choice at a fair price. YOU WANT TO BE CONFIDENT! MIDWEST ROOFING CONSULTANTS, INC. can help realize your money is well spent. Are you struggling with insurance settlement issues? Is the settlement fair? Clarity in understanding your options is vital. A final inspection before you pay for a new roof installation or confirming storm damage is our expertise. 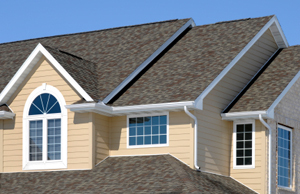 MIDWEST ROOFING CONSULTANTS roof evaluations will confirm all of the above and more. What may appear to be a leaking roof may prove to be something entirely different. Do you really need a new roof? MIDWEST ROOFING CONSULTANTS, INC. can provide an accurate evaluation of the life expectancy of your present system, including maintenance tips for prolonging the life of your roof. Had a new roof installed on your home and you have some questions? Call MIDWEST ROOFING CONSULTANTS, INC. for an inspection before you release final payment. It can save you money and give you peace of mind. Relocating with your job to another city, state, etc.? Thinking of selling your home? Rest easy knowing that MIDWEST ROOFING CONSULTANTS can provide a roof evaluation with maintenance suggestions to make your home more marketable. I have had to have my roof replaced twice, due to hail damage. Each time, I had Pete inspect the roof after it was replaced. Each time, Pete found some problems that would have eventually caused water damage and most probably cost a significant amount of money to repair. He was very quick to respond to make the inspection plus very thorough and professional in completing the inspection. I would highly recommend Pete. Probably next time, I would have him come when the roofers were beginning the work; then do a final inspection when the job is completed. Very few times in your life, if any, do you come across people who "step up to the plate" with integrity. My situation may not be unique, but it was something I was well aware that I had a project way out of my league. My mother's house in St. Louis County, Missouri, had fallen into disrepair many years ago, and the undertaking of repairing the house was daunting. I started by putting new insulation in the attic, which I hoped would cure some of the loss of heat from inside the home. Sometime after that, I became aware there were more problems in the house beside the insulation. There were foundation issues, more roofing issues, etc. I decided to make some calls not really knowing exactly where to start. I was finally directed to Midwest Roofing Consultants. I spoke with the owner, Pete Kraus, regarding the various issues I was experiencing and not only was he able to help resolve the insulation issue but others as well. His experience in the construction field led me to more solutions and more top notch people then I ever would have had access to otherwise. He personally supervised each issue to its conclusion. Budget wise, you can't afford not to hire them as consultants.